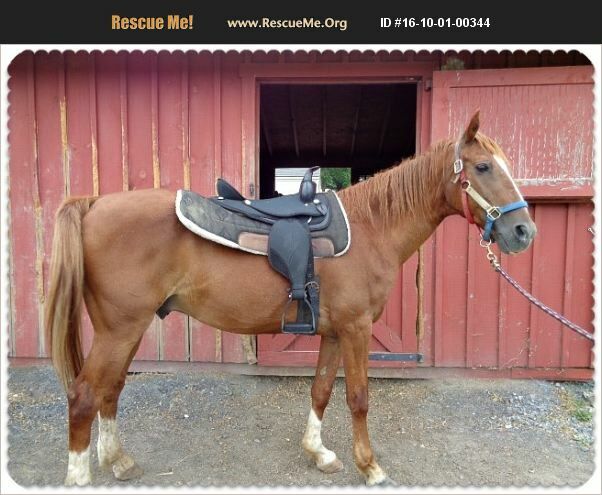 Pennsylvania Horse Rescue View other Horses for adoption. ANTHEM is the most recent adoptable rescued Saddlebred to be added to my list. He was a little timid at first but has come around nicely to enjoy grooming and being petted. He is good for paste de-worming and the farrier, stands tied and has very good ground manners. Anthem was said to be 15ish years old where he was rescued from. He stands approx 14.2-14.3H and is as cute as a button. He was an Amish buggy horse and doesn't seem to know much about being a riding horse but he does take tack fine and carried a rider while being led - no buck, bolt, rear, bite, etc. He could not have been more of a gentleman. Although he will need someone who can teach him more cues to be a riding horse, he was calm and relaxed during his evaluation. Anthem is available now to an approved home with a signed contract.